Evernote that allows users to save and archive clips, web pages, anything web related (“Remember Everything!”) is taking their game offline with their product tie-up with Moleskine. Really, it is just a notebook but look past the product and ask what job is the customer hiring it for and you may see the price premium. I am a utilitarian buyer and go for the $3 knockoffs I buy in local bookstores. But millions happily pay $10 for whatever image they believe their Moleskine conveys to others. We do not know Moleskine’s exact sales numbers. One estimate (clever math too) states at least 10 million notebooks. Sales estimates for 2010 were $280 million, growing 26% year over year. Evernote has 34 million users of which 1.4 million pay $45 a year to use the product. It likely makes $63 to $84 million a year in revenue. Their product is free up to certain storage capacity then users upgrade by paying more for additional storage. Until now people wrote ( at least some of those who owned Moleskine notebooks wrote) with pen and what they wrote stayed offline, in the notebook. 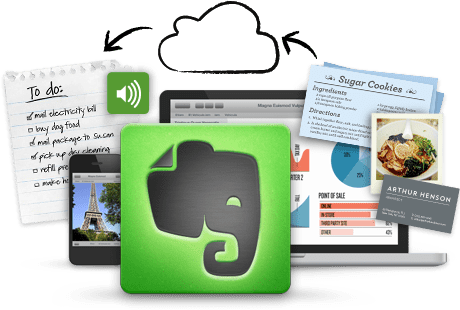 While it was easy to store and search online content with Evernote it did not support a way to store and retrieve offline content. So the two are doing the deal to introduce a special Moleskine notebook. With some specially formatted pages it is easy to take a picture (using Evernote iPhone app) of the written Moleskine page (that is if you indeed write in it) and capture that as a searchable digital Evernote clipping. The price? While the regular Moleskine goes for $12 (or $9.60 in Amazon.com), the special limited Evernote edition costs $24.95 and $29.95 (for large). Effective pricing fitting the product and likely set by Moleskine team than the Evernote team. So a new media online only business that makes $63-$84 million a year managed to do a deal with old media offline business that makes $300-$440 million a year. That in itself a big achievement for the Evernote business development team for convincing a bigger player of the mutual value and attaching to the bigger brand cachet of Moleskine. Let us ask what is in it for a $300M established player with tremendous brand equity and millions of paying customers to team up with a smaller upstart with limited brand recognition, with millions of users but with less than 5% paying customers? Likely Moleskine is not able to continue to deliver 26% year over year growth. After all there are only so many who want to hire a notebook just for image. So they either see new market in Evernote customer base or an opportunity to make higher profits from a super premium price. The first scenario is less likely. By choosing to target a specific segment with a premium priced product they likely realize the limit and it is also likely Evernote customers are already Moleskine customers. And to think 32 million who do not want to pay $5 a month will pay $24.99 for a notebook is farfetched. Incremental profits is the most likely driver than sales growth for Moleskine. They likely leaned on Evernote to pay for part of or all of the product development investment needed to introduce the new product. The marginal cost of new notebook is no where near the $15 jump in its list price. If we assumed it is $3, the remaining $12 is split either evenly or $8 for Moleskine and $4 for Evernote. Evernote, the junior partner, has lot more to gain, mainly in the form of brand recognition and a new revenue source. When less than 1.4 million paying customers they need to seek additional ways to monetize the 34 million user base. Even if 1.4 million of them (any 1.4 million, not just those that pay now) buy just one notebook a year, and if they were to get $4-$6 from Moleskine, that is 10% bump in their revenue. Very well done partnership by the Evernote business development team. Even at $4 cut they have created a new revenue stream outside of their core business. In that process they helped create marketing around around the new product. The real question is, what would Vincent van Gogh, Pablo Picasso or Ernest Hemingway think about this “marriage”?